"It's been just over a year since the Perryton Fire burned 318,000 acres across multiple counties in the Texas Panhandle. The fire devastated many ranchers, including John R. Erickson, author of the Hank the Cowdog series. He says the fire changed his life, but he and his wife Kris have managed to get through it with the generosity of people across the Panhandle and even the state. 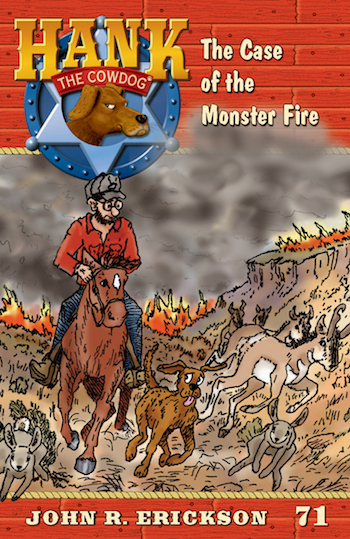 He hopes to demonstrate that Panhandle spirit through his soon-to-be released book: The Case of the Monster Fire. "This is like no fire we've seen before." Those are the words you will find in a book of fiction about a very real tragedy told by John Erickson.